High accuracy 100Hz GPS receivers and Inertial Measurement Units (IMU) with Real-time Kinematics (RTK) support for most precise position based test and measurement applications. High accuracy 100Hz GPS receivers and Inertial Measurement Units (IMU) with Real-time Kinematics (RTK) support for the most precise position based test and measurement applications. GPS INTERFACES: Dewesoft offers various robust navigational GPS receivers for precise location tracking, acceleration, and speed measurement. INERTIAL MEASUREMENT UNITS: Dewesoft also offers very rugged IMU units which in addition to GPS receivers have roll/pitch/heading channels with dead reckoning and offer an IP67 degree of protection. RTK 2 CM ACCURACY: With optional RTK upgrade an all GPS and IMU units we are able to improve positioning accuracy down to 2 cm. USB, CAN, RS232: GPS instruments offer various data connection interfaces from USB, CAN and RS232. GYRO: In addition to positioning sensors we also offer DS-GYRO gyroscope for measuring pitch, roll and heading direction. EASY TO USE: All navigational interfaces offer plug and play functionality, are easy to setup and use. See technical specification for full specification list and details about which device works with which satellite navigation system. 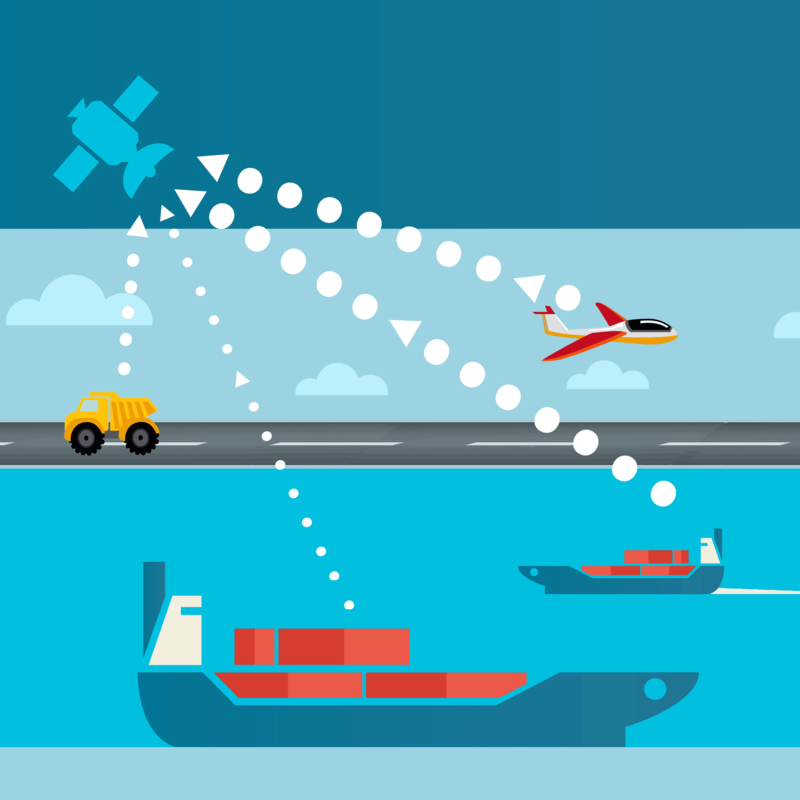 Dewesoft offer highly accurate Inertial Measurement Units which provide rugged and reliable GPS aided inertial navigation system including AHRS that provides accurate position, velocity, acceleration and orientation under most demanding conditions. DS-IMU instruments are rugged devices which offer an IP67 degree of protection and are MIL-STD-810G rated. DS-IMU1 and DS-IMU2 are a combination of multiple sensors like gyroscope, accelerometer, magnetometer, pressure sensor and a high-speed GNSS receiver. Coupled with sophisticated algorithms they deliver very accurate and reliable navigation and orientation. IMU offers up to 500 Hz output data rate. All Dewesoft GPS and IMU navigational devices can be upgraded with Real-time Kinematic GNSS technology (RTK). 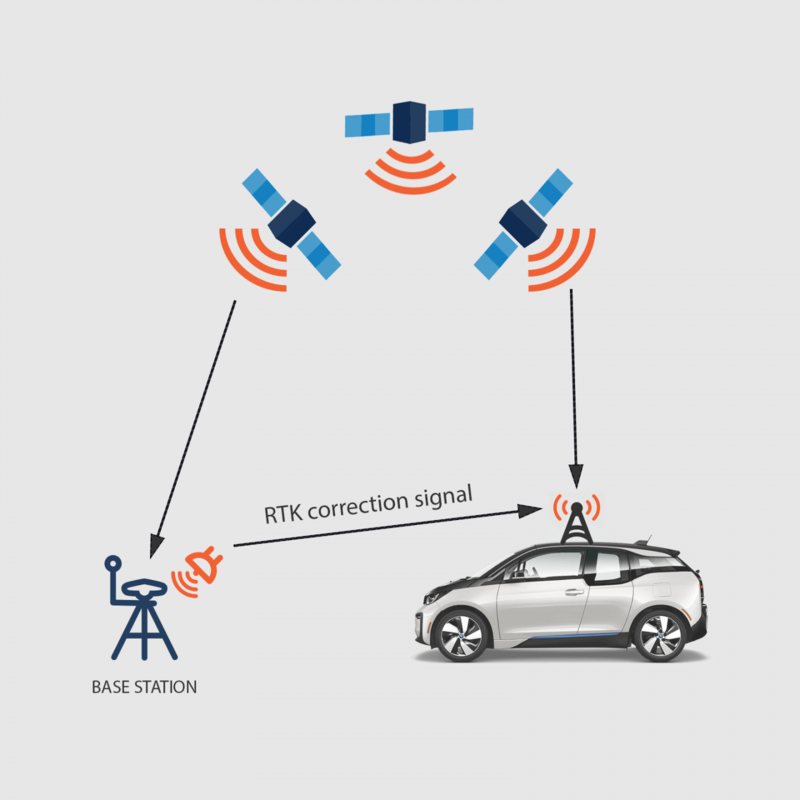 RTK improves positioning accuracy with the combination of GNSS receiver and additional base station down to 2 cm. Any Dewesoft 100 Hz GPS and IMU device can be upgraded with RTK. 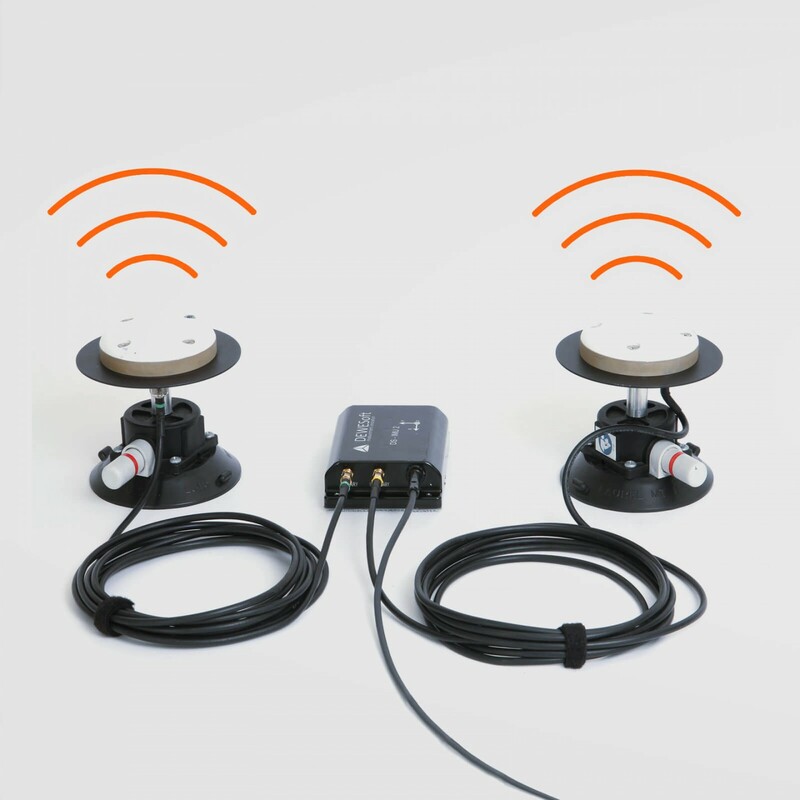 Dewesoft provides all hardware accessories needed for the upgrade - base station, antennas and 3G and RF modems for data transmission between car and base station. and more are supported directly with the support for the validation and testing standards, mathematical calculations, online visualization, and reporting tools. Dewesoft X DAQ software features add-on called Polygon. Polygon allows for easy definition of test polygons for all kind of vehicle dynamics and other moving vehicle involved tests. It supports multiple vehicles to be synchronized together as well as other moving or fixed objects. Advanced 3D visualization with easily adaptable view angle provides a cruical visual representation of tested vehicled and objects. Built-in math provides free definable outputs like distances, angles, gate crosses and more... All the positioning data can be combined with synchronized analog data, CAN bus data, video, XCP/CCP, FlexRay, Kistler KiRoad and many more. The synchronization is the most important aspect of every test and measurement application. Without the right correlation of data, it's impossible to get correct results. Parameters from navigational devices like position, velocity, acceleration, altitude, pitch, roll, heading are completely synchronised down to microseconds to the data from other sources like CAN bus, analog (vibrations, deformations, flow), counter/encoder (RPM, angles), video, XCP/CCP, KislerKiroad and others. 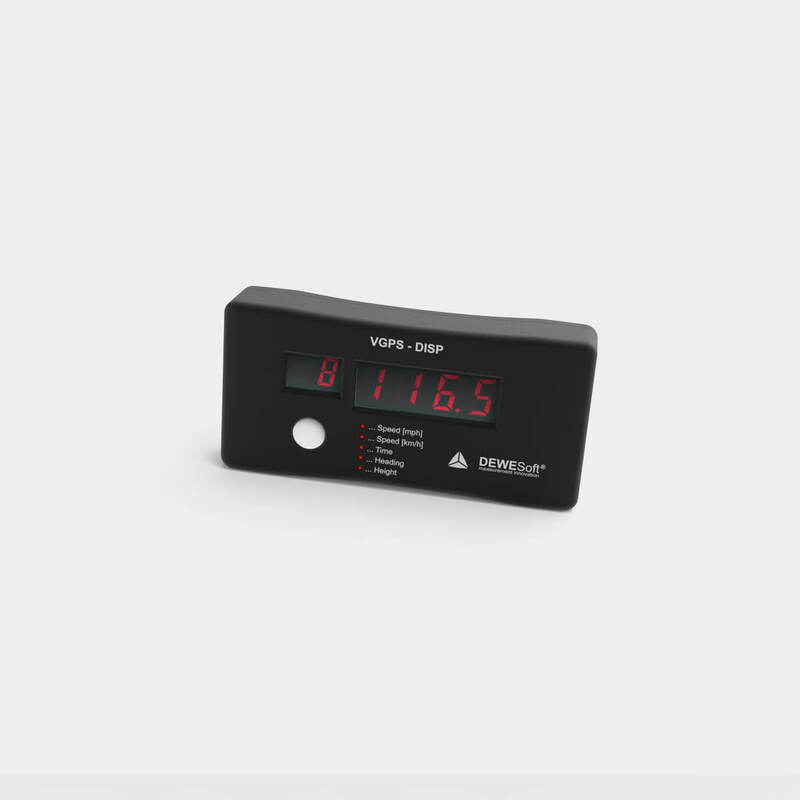 The GPS and IMU devices provide exact time information which allows different devices to be perfectly synchronized even if they are on the other side of the globe. This is great for test scenarios with multiple vehicles. 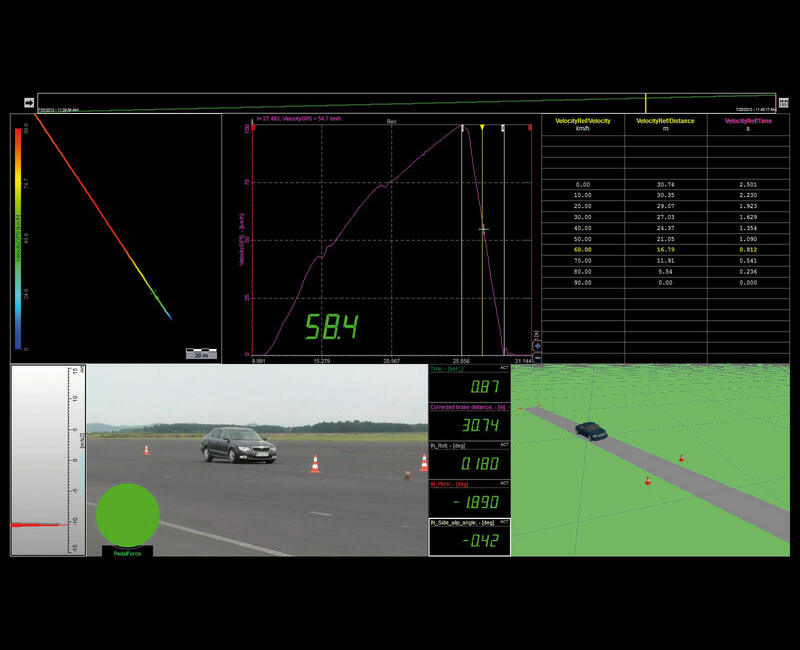 Dewesoft NET technology allows getting all data to a master vehicle fully synchronized. number of satellites in reach. Brake test system from Dewesoft is very flexible and covers all kind of brake tests, braking comfort and testing vehicles with regenerative braking. High-accuracy GPS/IMU hardware is available to achieve the highest possible velocity and distance accuracy. Total vehicle dynamics solution, so-called VTS, was developed together with Leane International and FCA group. The entire solution is based on top of Dewesoft X software and DAQ systems and offers standard maneuvers and quick pass/fail evaluation for the driver. Advanced driver assistance systems are automated systems, which increase safety and improve the driving experience. Dewesoft offers easy to use ADAS system with the latest GPS and IMU technologies with 2 cm accuracy.